Microsoft's mysterious Windows Cloud is supposedly a stripped-down version of Microsoft’s operating system that runs only Windows Store apps. Microsoft's not commenting, but an early build that leaked over the weekend appears to be authentic and gives further tantalizing hints of what the company may have in mind. Windows Cloud intrigues Microsoft watchers because of its uncanny resemblance to Windows RT, Microsoft’s failed ARM-based platform. It, too, could only run Windows Store apps, plus desktop versions of Internet Explorer and Microsoft Office. There are numerous reasons why RT never succeeded, but the gist is there weren’t enough apps and nobody wanted to run a hobbled PC. Why this matters: If there’s one thing Microsoft hates, it’s watching another company make gains in the space it dominates: PCs. For that reason, the company needs to dislodge Google’s dominant foothold in the education market with its Chromebooks. But Chromebooks started as minimally capable computers and have added features over time. It's hard to say whether people will be any more accepting of a pared-down Windows than they were before. The idea behind running Windows Store apps only is that a Windows Cloud machine can be more easily managed, like a Chromebook. If you remove Win32 (traditional desktop) apps, you get greater security and control because users can only turn to web apps or the Windows Store. Regardless, it’s clear that Windows Cloud (at least right now) can run on x86 processors. If that holds true for the official release, then there’s no reason it couldn’t run Win32 apps save for an artificial limitation put there by Microsoft. Interestingly, MSPowerUser said it was able to download, but not run, Win32 apps that were in the Windows Store via Project Centennial. Writing at Petri.com (the parent site to Thurrott.com), the same Brad Sams discovered there’s an upgrade path built into the leaked build to go from Windows Cloud to Windows 10 Pro. That further supports the notion that Cloud will appear on at least some x86 hardware. It’s also possible there could be upgrades to other versions of Windows in an official release. If Windows Cloud offers upgrades, then this is a serious mash-up of the ghosts of Windows past—the second coming of Windows RT plus Windows Starter Edition. Windows Starter Editions were versions of Windows from XP to 7 that were stripped-down and simplified for netbooks (sound familiar?). They also included an upgrade path to Windows Home or other versions via the Windows Anytime Upgrade. The odd thing is that if Windows Cloud is supposed to be a Chromebook competitor, why the upgrade path? 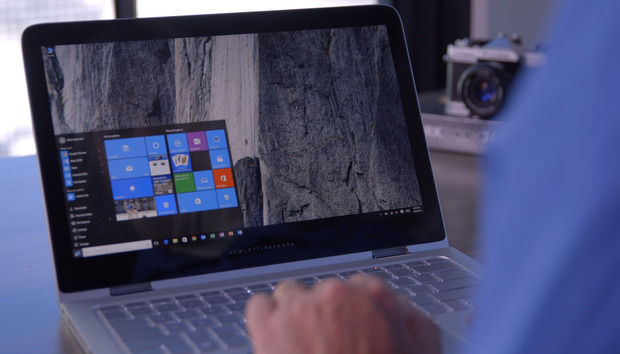 Moving to Windows 10 Home or Pro defeats the point of a simplified operating system that is easier to manage. Plus, doesn’t this suggest Microsoft will advertise upgrades to Windows Cloud users? Yuck. A Windows Store-only PC also is locked into Microsoft's Edge browser, which lacks the popularity of Google's Chrome browser, with its vast extensions and app catalog. That’s like bringing a wet sponge to gun fight. Can the Windows Store take on Google Play? This last point is more of a general question about Windows Cloud than anything we’ve learned from the leaks. A Windows Cloud machine has to rely on the anemic Windows Store. Meanwhile, its competitor Chromebooks, which were struggling to accumulate Chrome native apps, are about to gain a huge advantage. Google recently confirmed that all Chromebooks from 2017 and beyond will be able to run Android apps via the Play Store. Microsoft might have an advantage with productivity features like digital inking and possibly Cortana, but as we’ve seen before when it comes down to apps, the better store always wins.